Last week we received a visit from Robert Keeley to our shop. We're honoured to have such pedal royalty grace our premise. 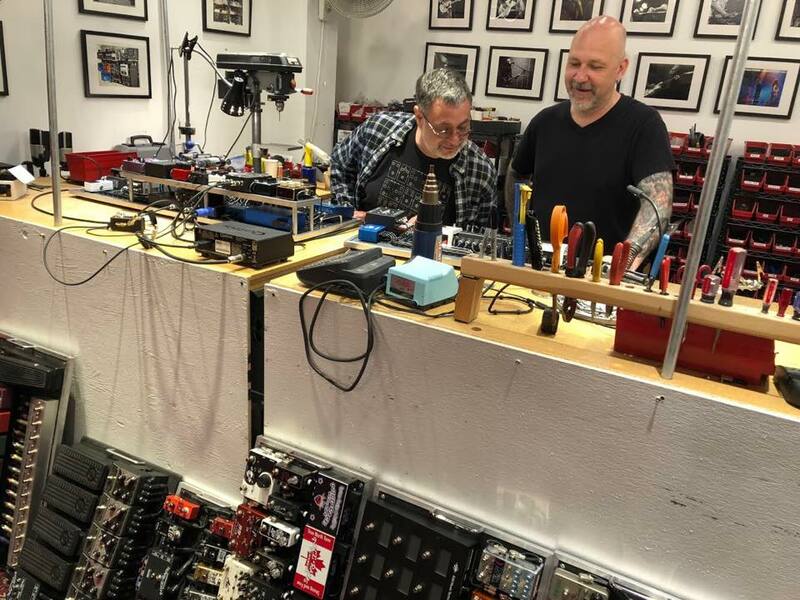 We had a great chat exchanging information about what rig builders want from pedal makers and some great advice on building up a company in the modern music instrument retail marketplace. After Robert's visit he posted some amazingly nice comments about our shop that we have never expected. To hear such effusive praise from someone that we admire so much was an incredible feeling. We're looking forward very excitedly to building some demo boards for Keeley Electronics in the near future! Thank you very much to our team at SF Marketing for this happen!